Every summer students registered in a Faculty of Science SEASIDE course know they’re going to get their hands wet with experience studying the ocean and its life. This past summer’s Field Studies of Marine Mammals SEASIDE course was no different, but this year it was expanded to accommodate 15 international students interested in having a unique Atlantic Canadian experience learning marine biology. The field course brought together students from Norway, Sweden, Israel and Canada. Over three weeks, students attended lectures and workshops to learn the ropes of what they’d be seeing and doing during a five-day marine biology field trip to the Bay of Fundy region of Nova Scotia, known for its exceptional whale watching opportunities. While tourists go to marvel at the beauty of whales, SEASIDE students went to work in groups to collect data on marine mammals for a research project due at the end of the course. Marvelling at the beauty of whales just came with the territory. 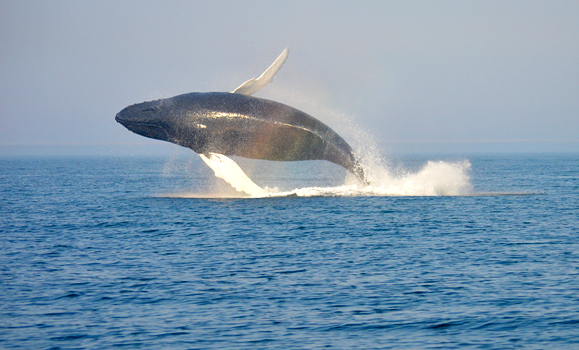 Viberg had seen humpback whales before but the experience she had in Nova Scotia was one she’ll never forget. Tom Haran (pictured right), a student visiting from The Hebrew University of Jerusalem, shared Karoline’s enthusiasm. 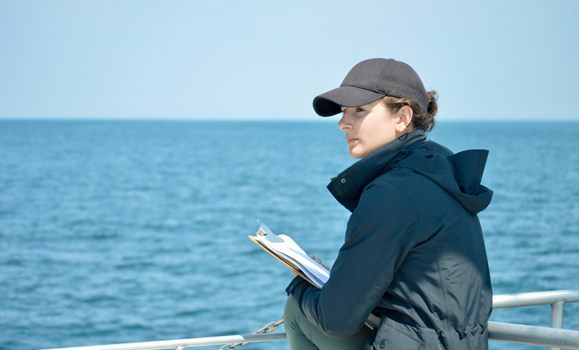 For Dalhousie marine biology student Laura Raposo, the Field Studies of Marine Mammals course highlighted the commitment and passion that those teaching it brought to their lesson plans. 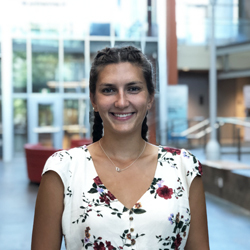 “Their love for and experience with the topic truly deepened my knowledge about marine mammals and sparked a greater passion in me to pursue research,” said Raposo, who’s currently in her third year. Damian Lidgard was one of the instructors. For him, bringing students from both sides of the Atlantic Ocean together was one of the most thrilling aspects of teaching this course. 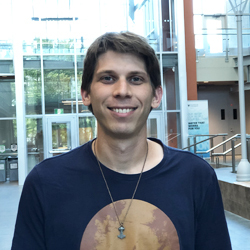 Working in groups allowed all students to tap into the unique knowledge and experience a class of people with an “array of nationalities, ages and gender,” has to offer, explained Raposo.